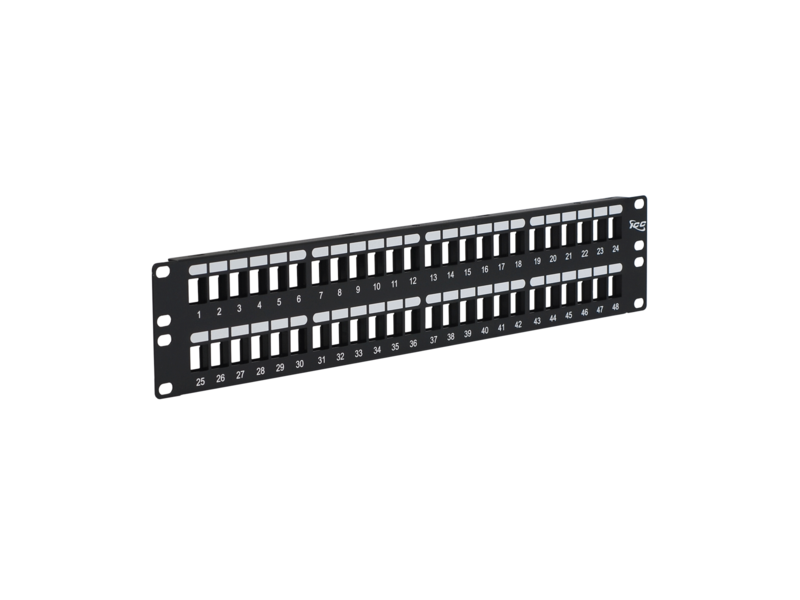 48-port 2 rack mount spaces. Accepts high density modular connectors. Includes #12 rack screws. 48-port high density version provides room for 48 ports in two rack mount spaces (2 rms).